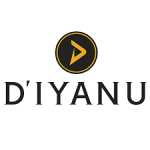 D’IYANU specializes in bringing African culture inspired clothing and accessories to the masses, working with designers in Africa to create the most authentic looking solutions made from modern textiles and fabrics. Guest designers are brought in every month to create a new, and seasonal merchandise is refreshed on a three month basis. Visitors can take advantage of customization options on every order, having their off the rack purchases customized to their specific measurements for a nominal fee. Free shipping on every order sent to the United States is included with every purchase and D’IYANU email newsletter subscribers get 10% off of their first order.